Performance Evaluation is defined as a formal and productive procedure to measure an employee’s work and results based on their job responsibilities. It is used to gauge the amount of value added by an employee in terms of increased business revenue, in comparison to industry standards and overall employee return on investment (ROI). All organizations that have learned the art of “winning from within” by focusing inward towards their employees, rely on a systematic performance evaluation process to regularly measure and evaluate employee performance. Ideally, employees are graded annually on their work anniversaries on the basis of which, they are either promoted or suitable distribution of salary raises. Performance evaluation also plays a direct role in providing periodic feedback to employees, such that they are more self-aware in terms of their own performance metrics. What is the Purpose of Performance Evaluation? Periodic performance evaluation is an employee’s report card from his/her manager that acknowledges the work he/she has done in a specific time period and the scope for improvement. An employer can provide consistent feedback on an employee’s strengths and strive for improvement in the areas that the employees need to work on. It is an integral platform for both, the employee and employer, to attain a common ground on what both think is befitting a quality performance. This helps in improving communication which usually leads to better and more accurate team metrics and thus, improved performance results. The goal of this entire process of performance evaluation is to improve the way a team or an organization functions, to achieve higher levels of customer satisfaction. A manager should evaluate his/her team member regularly and not just once a year. This way, the team can avert new and unexpected problems with constant work being done to improve competence and efficiency. 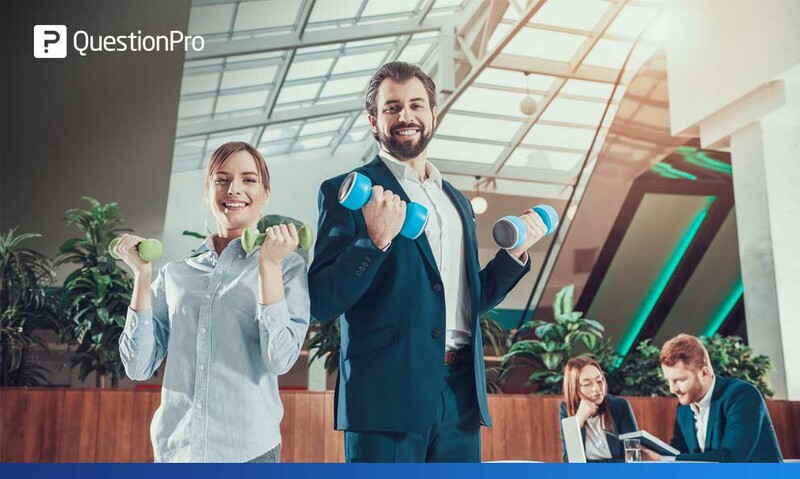 An organization’s management can conduct frequent employee training and skill development sessions on the basis of the development areas recognized after a performance evaluation session. The management can effectively manage the team and conduct productive resource allocation after evaluating the goals and preset standards of performance. Regular performance evaluation can help determine the scope of growth in an employee’s career and the level of motivation with which he/she contributes towards the success of an organization. 1. What motivates you to get your job done well? 2. Which tasks do you enjoy doing the most? 3. Which tasks you don’t enjoy at all and why? 4. What are the 3 things as an organization we can do better? 5. On a scale of 0-10, how likely are you to refer us to your family or friends? 6. Do you feel the leadership in this organization treats everyone fairly? 7. What leadership qualities do you associate yourself with? 8. Can you give us an example or an incident where you used leadership traits in this organization? 9. Do you think there is effective communication between employees and leadership in this organization? 10. If you are replaced with one of the leaders in this organization what advice would you give the employees? 11. What are the things you have done to improve the overall success of this organization? 12. What is your idea of recognition? 13. Do you receive regular feedback from your peers/manager/supervisor? 14. How many sensitive projects have you handled in your association with the organization? 15. Do you feel valued in this organization? 16. Have you proposed any effective changes in office policies or procedures? 17. How often do you communicate with your manager/peers? 18. Do you help your peers with the information they need to successfully complete their tasks? 19. Have you had any unpleasant discussion with your team members/manager/ supervisor? 20. How do you think you can bring about a positive change in the workplace culture? 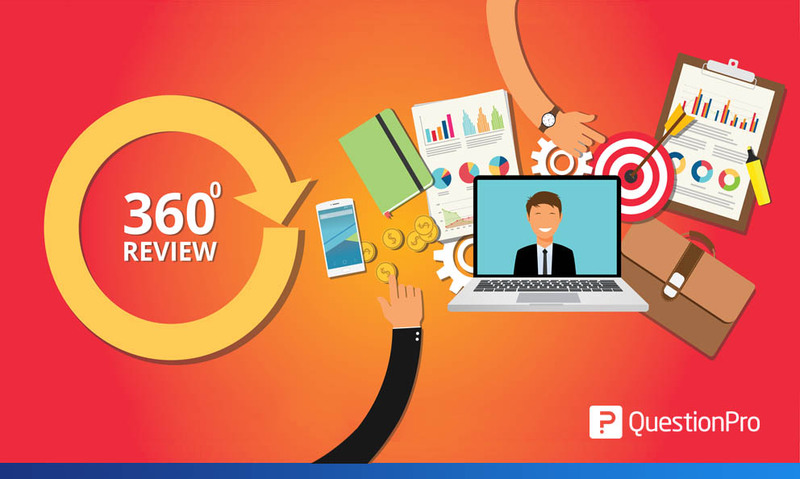 360 degree review is a comprehensive review mechanism that helps gather greatest insights and feedback on an employee’s performance from his/her supervisor, peers, colleagues, and subordinates. Supervisor evaluation survey is deployed to collect feedback and information from employees related to their supervisor. Supervisor evaluation helps an organization and its leadership understand the accuracy of the work done by the supervisor and also help them evaluate the overall value the supervisor adds to his/her team and to the organization as a whole. A manager evaluation survey offers a set of questions that are answered by the employees to evaluate their direct or indirect manager’s effectiveness at work. 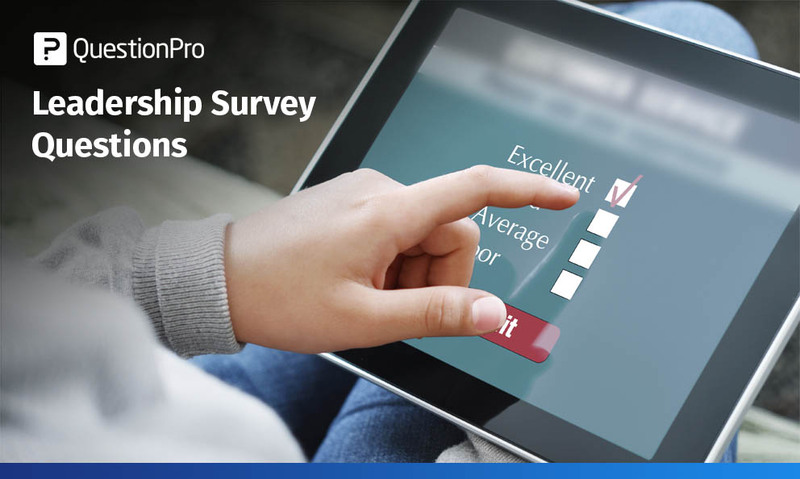 This survey is extremely useful for the management to understand the manager’s performance, attitude at work, willingness to help his/her subordinate and more. Senior management evaluation survey questions are used to understand the employees perspective of the senior management and evaluate their abilities to be able to run the organization smoothly. This questionnaire should have questions that help an organization gather insights on effectiveness, direction, policy-making abilities, and other useful traits. Employee satisfaction survey is deployed to understand how satisfied or dissatisfied is your workforce. It is essential you measure employee satisfaction as dissatisfied employees not only not perform well but also can be a major reason for high levels of employee attrition in an organization. This survey can power your workforce and HR strategies to cultivate a work culture that enables your organization to win from within. 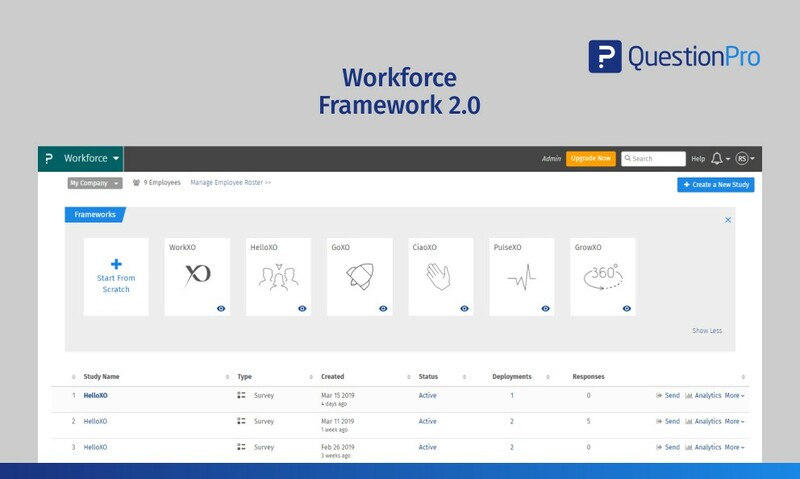 Employee engagement survey enables you as an organization to test the levels of engagement of your employees and to understand how motivated they are to perform well in the workplace. Employee engagement is a matter of concern for most organization and disengaged employees set a negative example for other employees. Disengaged employee performances poorly as compared to his/her colleagues. Thus, this survey can be used to analyze and review the level of performance of an employee and take corrective measures immediately. Step 1: In most organizations, a performance evaluation process states that an employee’s performance is tracked every three and six months, provided, the employee has worked with the organization continually for that tenure. The HR department can send across an online survey for the employees to fill out regarding their satisfaction and engagement levels. Step 2: The employee’s immediate manager will decide his/her performance quality after evaluating the yearly performance, conducting an employee engagement survey and eventually having a face-to-face meeting. Step 3: The feedback received from the online employee satisfaction survey can be kept anonymous. 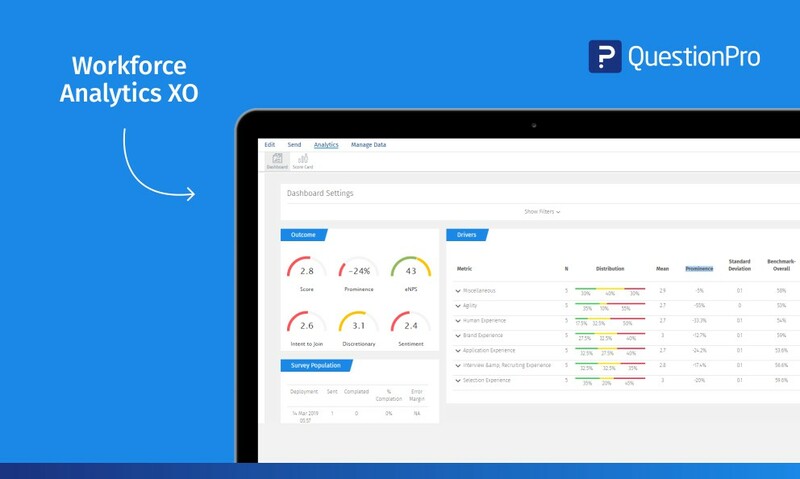 This feedback can be analyzed in real-time from a centralized dashboard. On the basis of the analysis, the manager can prepare further questions for the face-to-face meeting. For a probationary employee to be termed as a tenured employee, he/she must perform as per their supervisor’s expectations for six months. The first six months of an employee’s tenure are crucial as the management always has a watchful eye on them for all their contribution towards assigned tasks, ownership skills and punctuality in task completion. After confirmation, an immediate manager will evaluate the non-probationary employee on a yearly basis. The supervisor should avoid being too negative or positive with the employees and express displeasure is the most positive manner possible. He/she should communicate with the employee prior to the review meeting about preparing any questions they might have for the supervisor. 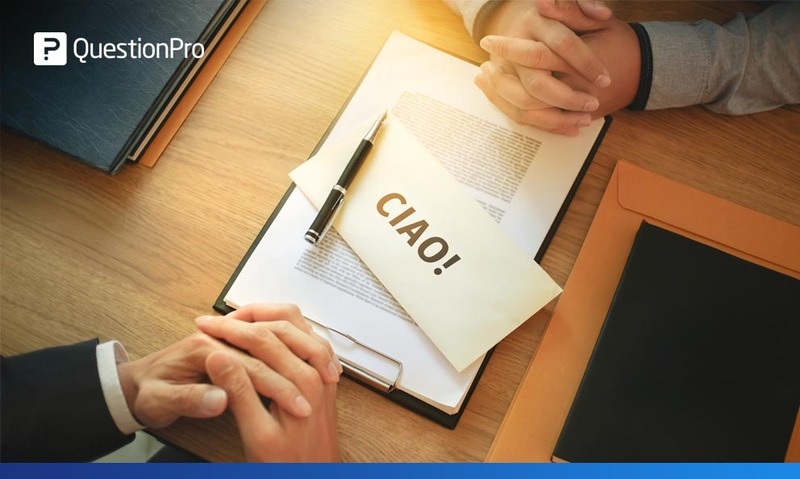 It is highly recommended for a manager to prepare a list of general topics to discuss with the team member, as an evaluation discussion is ideal for all topics which remain undiscussed throughout the year. Every manager must communicate the employee’s future plans with the organization in the performance evaluation meeting. The supervisor should always end the evaluation process on a positive note. There are 5 most critical performance evaluation methods. 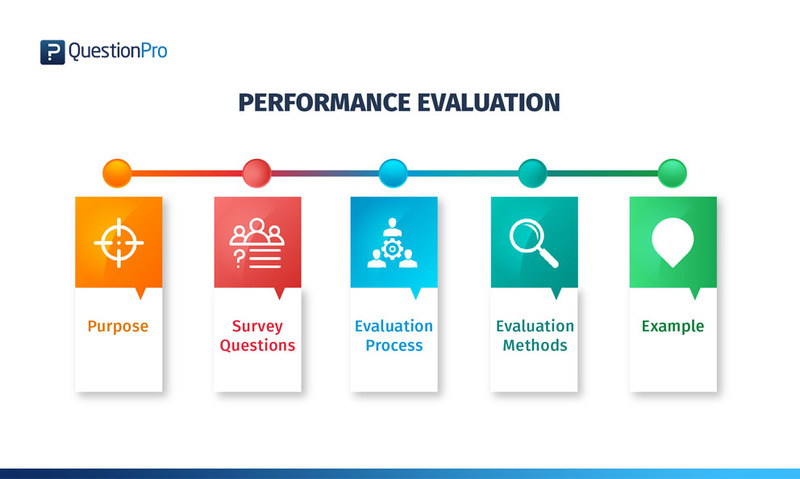 Using only one of these performance evaluation methods might help an organization merely gain one-sided information, while, using multiple of these methods help in obtaining insights from various perspectives which will be instrumental in forming an unbiased and performance-centric decision. 1. Self-Evaluation: This is an amazing method to get started with employee reviews. Self-evaluation is when an employee is expected to rate themselves using multiple-choice or open-ended questions, by keeping in mind some evaluation criteria. After conducting self-evaluation, the management has an opportunity to fairly assess an employee by considering his/her thoughts about their performance. An organization’s management can compare every employee’s self-evaluation with the rating his/her manager provides, which makes the performance evaluation process exhaustive and effective. The gap between self-evaluated ratings and the supervisor’s ratings can be discussed to maintain a certain level of transparency. 2. 360-degree Employee Evaluation: In this performance evaluation method, an employee is a rated in terms of the advancements made by him/her within the team as well as with external teams. Inputs from supervisors of different departments are considered along with evaluation done by direct supervisors and immediate peers too. Thus, in 360 degree feedback, each employee is rated for the job done according to their job description as well the work done by them in association with other teams. 3. Graphics Rating Scale: This is one of the most widely used performance evaluation methods by supervisors. Numeric or text values corresponding to values from poor to excellent can be used in this scale and parallel evaluation of multiple team members can be conducted using this graphical scale. Employee skills, expertise, conduct and other qualities, in comparison to others in a team, can be evaluated. It is important to make each employee understand the value of each entity of the scale in terms of success and failure. This scale should ideally be the same to each employee. 4. Developmental Checklists: Every organization has a certain roadmap for each employee for their developments as well as exhibited behavior. This method of maintaining a checklist for development is one of the most straightforward performance evaluation methods. This checklist has several dichotomous questions, answers of which need to be positive. If not, then the employee requires some developmental training in the areas where he/she needs improvement. 5. Demanding Events Checklist: There are events in each employee’s career with an organization where he/she has to exhibit immense skill and expertise. An intelligent manager always tends to keep a demanding events list where employees show good or bad qualities. “John has been one of the most hardworking members of the software development team. He works exceedingly well under restricted time frames and adjusts according to the demand of the project. He always discusses his concerns well in time to get results immediately and also keeps the others team members regularly motivated. From this example, it is clear that, for a manager to have an impactful performance evaluation, he/she must present the coordinate it in the most professional manner by making sure the negatives do not overpower the positives. This is a testimony to the manager’s leadership skills as well as the employee’s yearly performance.